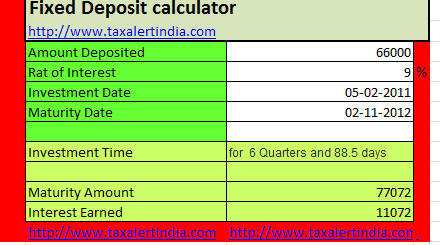 The interest on fixed deposit is calculated on compund interest rate means the one who invest in fixed deposit will get interest on interst after a specific time on investment. In india generally the specific time is quaterly basis.like one has invested 1000 rs. on 12% interest. if the specific time is 1 month he will get first month interest 10 rs. & the second month the principle amount would be 1010 & the interest would be 10.10.